It is one of the most famous scenes in modern British cinema. Harry and Karen, married and middle-aged, exchange Christmas gifts by the tree, children watching excitedly. Karen unwraps her small package, and finds a Joni Mitchell CD, Both Sides Now. She is devastated. She was expecting something else. The necklace she found in Harry's coat pocket was not for her after all, but for another woman. And she retreats to the bedroom, and cries. An orchestra swells gently as Karen, played with heart-rending sadness by Emma Thompson, attempts to come to terms with the brutal realisation of her husband's infidelity. A neat device: it is the title track of the very CD she has just been given ("to continue your emotional education", said Harry), and Mitchell's voice comes in to comfort her: "I've looked at love from both sides now/ From give and take and still somehow/ It's love's illusions I recall/ I really don't know love at all." Love, illusion, deception and heartbreak are common themes in Joni Mitchell's work, and her most famous song provides Richard Curtis's otherwise lightweight Love Actually with by far its most affecting moment. Mitchell's voice is a little weary, breathy, hoarse with hard-won wisdom. The album gifted to Karen is an album of jazz classics recorded in 2000, when Mitchell was in her late fifties. Its closing song, "Both Sides, Now", one of only two from her own songbook, acts as a summation of all that she has learned about love: that its meaning continues to evade her, even after all these years. It was a conclusion that sounded less forceful when Mitchell first started singing the song in the folk clubs of Philadelphia in 1966. The preternaturally precocious 23-year-old Canadian singer had already experienced undue emotional turbulence in her life, most notably in the previous year, when she gave birth to a daughter whom she gave away for adoption. 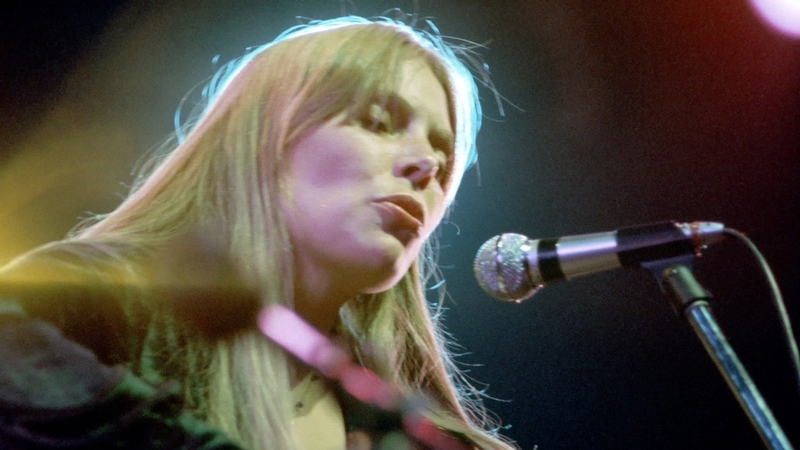 Mitchell moved to Los Angeles and became associated with the Californian singer-songwriter movement, but she quickly outstripped her peers in both her lyrical eloquence and musicianship. Her songs, and her insights, arrived fully formed. "Both Sides, Now" was inspired by a passage from Saul Bellow's Henderson the Rain King: "I dreamed down at the clouds, and thought that when I was a kid I had dreamed up at them, and having dreamed at the clouds from both sides as no other generation of men has done, one should be able to accept his death very easily." Mitchell's interpretation of the oneiric moment became an immediate crowd favourite in concert. Its lyrical sophistication was one thing; but it was the song's lovely melody that made it instantly attractive to a diverse range of predatory, hit-hungry artists. Most famously, Judy Collins took it to the US top 10 in the autumn of 1968, in a vapid version which Mitchell - the harshest of critics - reportedly disliked. The heavy guns soon moved in: Bing Crosby, Frank Sinatra, Neil Diamond nabbed "Both Sides, Now" for album fillers. Leonard Nimoy, who knew a thing or two about what happens to clouds, boldly went for it for his 1968 long player The Way I Feel. The song went global: Nana Mouskouri offered a version in French - "C'est bien triste de penser/ Que je n'ai rien appris du tout" - which lacked the subtly mystified air of Joni's original. It wasn't that she had learned nothing; what she had learnt was that the most complex human emotion would always remain, beyond her, and our, understanding. The lyrics were, according to Mitchell's biographer Karen O'Brien, once turned into Chinese calligraphy, and then back into English, becoming: "Joni's Theory of Relativity". Less complicatedly, Doris Day sang it. There are versions by Hugh Masekela, Herbie Hancock, Dolly Parton. It has become one of popular music's most enduring classics. Mitchell recorded the song for herself for 1969's Clouds. Yet it was her reclamation of "Both Sides, Now", accompanied by Vince Mendoza's gorgeous string arrangement, more than 30 years later, which ultimately revealed the song's true quality. During that time, it had ripened along with its composer, her voice, and her audience. "I can't believe you still listen to Joni Mitchell," says Harry to Karen in an earlier exchange from Love Actually. "I love her," replies Karen. "And true love lasts a lifetime." This article has been viewed 521 times since being added on January 22, 2019.